Over the course of twelve exciting weeks and under the supervision of experienced PhD researchers and candidates, the students broadened their understanding of economics and research methodology, subsequently concluding with conducting their own research projects on different topics. Would we have better politicians if we paid them higher wages? Using real data and the knowledge they had acquired, the participants proceeded to conduct research guided by their tutors. Several students mentioned that it was a unique and valuable opportunity to conduct research at such a young age while being mentored by PhD students and candidates. In addition to lectures and research projects, the program participants attended a presentation skills workshop by Paul Whitaker, a member of the Academic Skills Center at CERGE-EI, in order to be well prepared for the final presentations session during which they presented the results of their research. This year, 50 students applied, 30 were accepted, and 26 made it to the final presentations round. 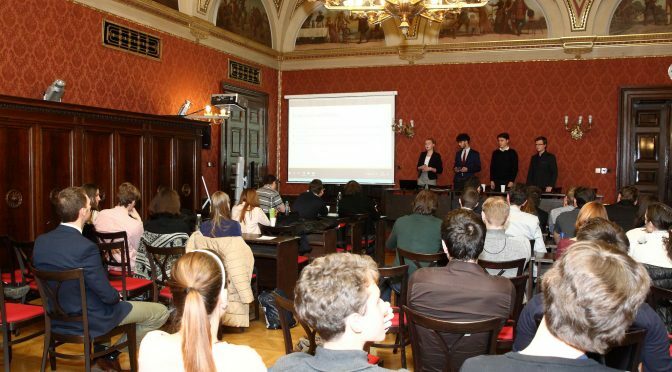 During the final presentations, the students presented their findings to other student groups, CERGE-EI faculty and the evaluation committee consisting of Filip Pertold (Researcher, CERGE-EI graduate, 2009), Nikolas Mittag (CERGE-EI Assistant Professor) and Jan Mysliveček (Principal at The Boston Consulting Group, CERGE-EI graduate, 2009). So which factors determine our life satisfaction? According to the findings, it helps a lot if you are a woman, as women seem to be happier than men on average. If you are in the unlucky case of being a man, you should get married, get a college degree and try to stay healthy, as these were factors that seemed to contribute to happiness. And do women earn less than men? Using data samples from the Czech Statistical Office from 2015 and 2016, the students found that women in the Czech Republic earn on average 29% less than men. The winners of the first prize received a print and digital subscription to the highly renowned The Economist magazine for one year and two international bestsellers: Freakonomics and Super Freakonomics. The runners-up received a twelve-week subscription to The Economist magazine and the two bestsellers. A twelve-week subscription to The Economist magazine and the bestsellers were awarded to the winners of the third prize. For coming in fourth, the group received the two bestsellers for their efforts. This was the second season of “Projects in Applied Economics for Talented Students”. It was organized and hosted by CERGE-EI, and supported by the Czech Ministry of Education, Youth and Sports.